Stop your search! If you are looking for amazing and luxurious condominium in Naples Florida, you have just found it. Naples Square Residences are just what you are looking for. Naples Square is located in Downtown Naples a short walk to 5th Ave South, 3rd Ave South, Bayfront and Tin City for all your Shopping and fine dining. A short bike ride to Naples White sandy beaches, Cambier Park and the Naples Yacht Club. Naples Square residences are the best condos in downtown Naples. No car? No problem! These condo units are Walking distance to 5th Ave South, shopping and fine dinning. Naples Square has everything you would ever need to live in Naples Fl. State of the - art Fitness center and Cardio equipment. A beautiful Courtyard with a Pavilion Bar, Heated Pool, and a Gas fire table with seating. If you need parking, they have that too. The under-building garage makes sure that your car (or bike) is secure and never in harms way. There are a collection of units in the Naples Square Condominiums. 2 bedroom, 3 bedroom and 3 Plus A Den bedroom floor plans are all available. Naples Square also offer a penthouse floor plan for the Discerning buyer. The builder, Ronto Group is doing an exceptional job with Interior design, features and all the amenities being offered. All the units offer Gourmet kitchen with high end granite and quartz counter-top buyers options. The oust-standing interior design for each unit feature luxurious baths, large open concept with 10 foot high ceilings. The bathroom have 36" vanity height and Glass shower enclosures. You can expect a luxurious spacious layouts with mostly 24-inch tile throughout main living area. Solid core door, and Stainless steel appliances. The Granite and or Quartz counter-tops and stainless steel appliances make for a modern feel in the kitchens. The 2 bedroom units run about 1529 square feet while the 3 bedroom Plus Den and the Penthouse units can get up to 3238 square feet. Prices range from $695,000 up to over $1,400,000. These units are going fast and Phase III is now taking reservation. All Naples Square Residences-Condominiums are move in ready. The Residences itself shows the pride of ownership of the people living there. The HOA covers all the things you'd expect including professionally managed with a full time maintenance and house keeping staff. . The common areas are clean and safe as every entrance is controlled access to the building and courtyard. As we already mentioned, each unit has at a secure under building parking space as well as on site Bike storage in garage area. You have access to a professionally designed Fitness Center, a clubroom with bar and terrace. A wonderful courtyard Deck with a pavilion Bar, and a Heated pool-spa. This area of Naples Square near 5th Ave So there is never a dull moment. This area is full of excitement, is vibrant and full of life. The active night life scene as well as tons of shops and nearby point of interests, restaurants, concert, guarantee that someone will be out and about at any time of day or night. 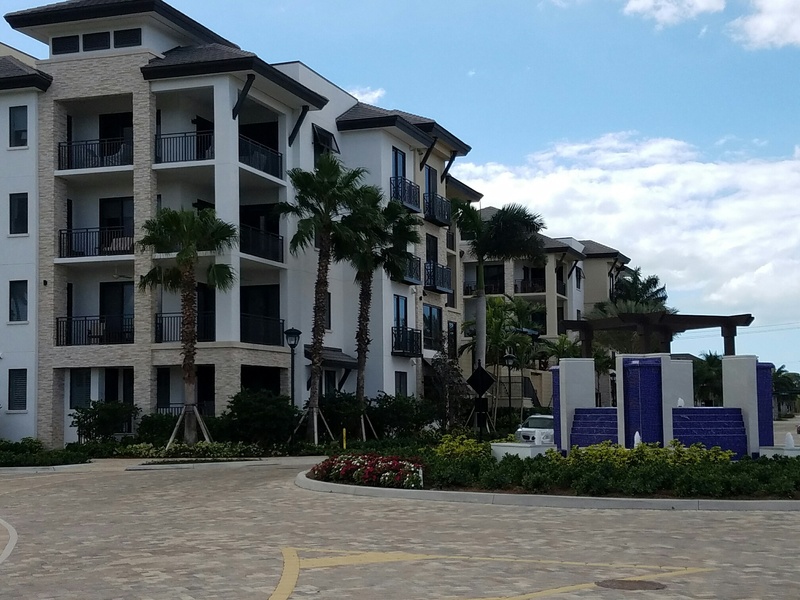 Enjoy a wonderful dinner on the Bay, Cruise to Crayton Cove, or grab a Frozen treat on 5th Ave. Go for a bike ride to the Naples Pier, or an evening walk with your love one, take a concert at Sudgen park, is what makes Naples Square Condos In Naples are the place to to call home in Naples Fl. You will not be disappointed Buying a Condo In Naples Florida. You can find Condos For sale in Naples Florida. The Naples Square Residences, Naples Fl are a place to call home. You will not be disappointed if you end up living here. You can find condos for sale in Naples Square Condo as well as all Condos for sale in Naples fl on my website. Would you like to know how much your Naples Condo is Worth? We love to do a Free Market Analysis of your home or Condo In Naples Florida. We will let you know what you can expect to get in today's market If you are considering selling. Our valuation is based on up to the day data for homes that have recently sold in the area. Please visit my website in order to get your Free property evaluation for your Naples Fl home or condo.